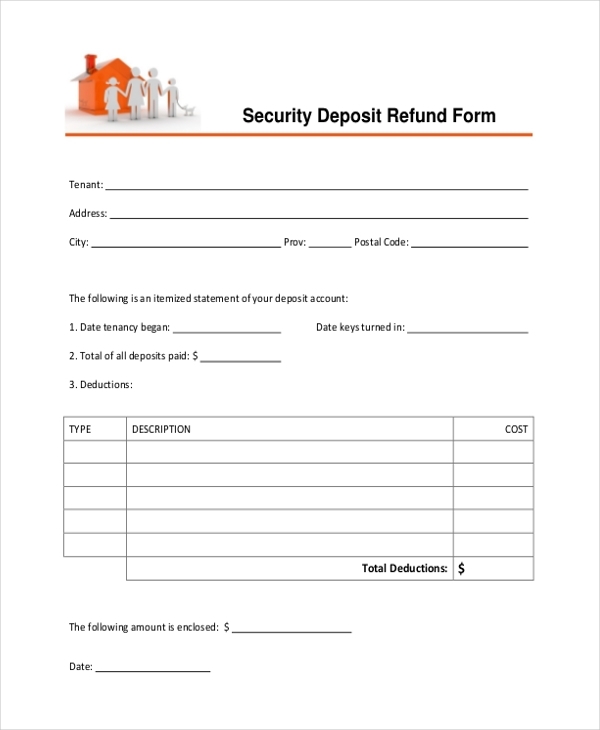 Security deposit form enables any person or organization to provide receipts for the security deposit that is obtained from customers or tenants. They are also used by the tenants to obtain security deposit from the landowner after vacating the premises. They are utilized when the tenancy is transferred from one tenant to another. One can search Google using direct deposit form template, generic direct deposit form or security deposit refund letter to know more about these Deposit Forms. This security deposit refund form mentions the name of the tenant and complete address. It also presents starting tenancy period and total deposit amount. The details of deductions are also mentioned. 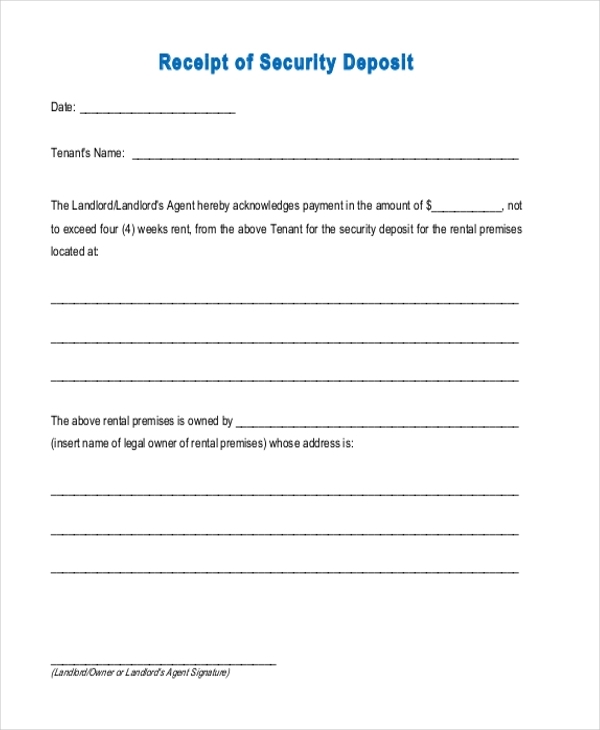 This rental security deposit form mentions tenant’s name, security deposit amount paid by the tenant, the address of the rental premises as well as tenant’s name and address. The signature of the landowner is obtained. 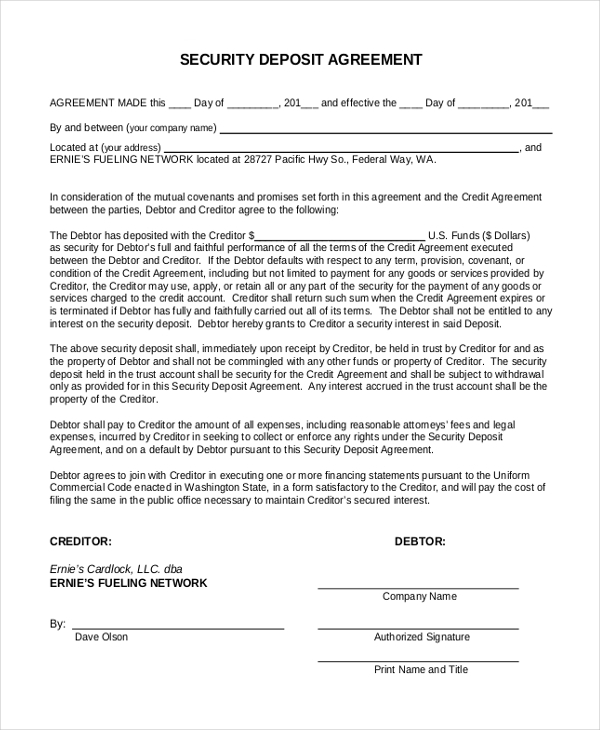 This security deposit agreement form presents company name and address, the deposit amount paid by the debtor to the creditor as well as obtains the signatures of the debtor and the creditor. The agreement mentions the rules related to default payments along with other details. 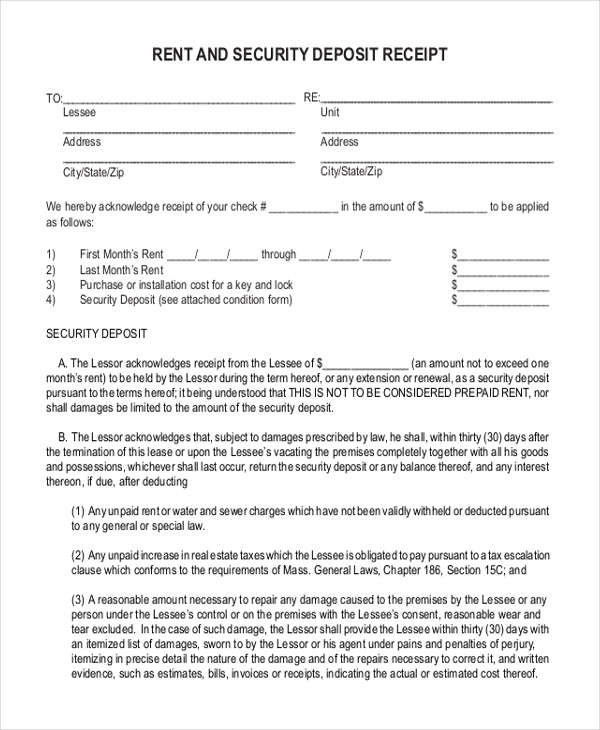 This security deposit release form presents names of terminating lessee, new lessee, and lessor. It also mentions a current key person, new key person, date of vacating, present lease date, term and remaining lessees. The termination lessee payment details are mentioned. 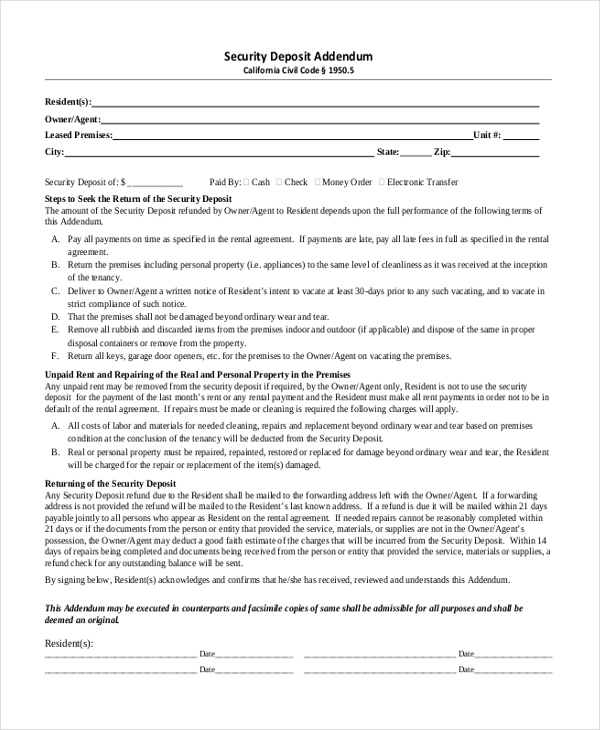 This security deposit demand form presented by the tenant mentions tenant’s name and address, landlord’s name and address. The letter requests to repay the deposit amount that was not returned even after vacating the premises thirty days back. This rent and security deposit receipt presents lessee name and address as well as details of rent paid. It also mentions the security deposit amount and obtains lessor signature. It mentions rules and regulations in case of non-payment of dues. 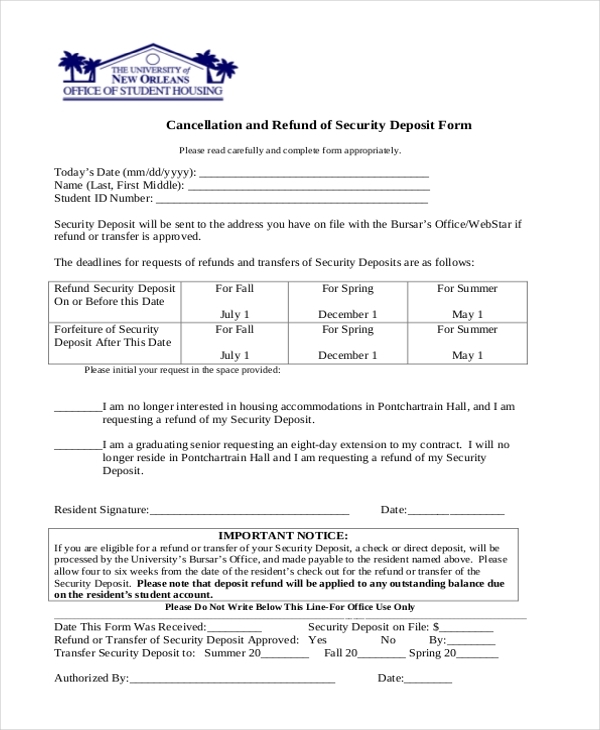 This cancellation and refund of security deposit form requesting transfer of security deposit for a housing accommodation. It obtains the signature of the resident. It also provides details of the security deposit paid. 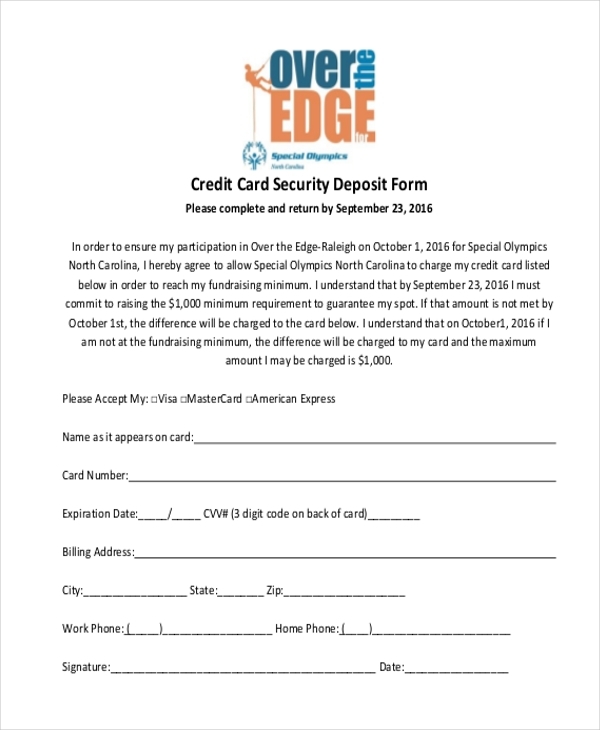 This credit card security deposit form provides details of the credit card like name, card number, expiry date, CVV number, billing address, contact information and obtains a signature. It allows the authorities to charge amount towards fundraising campaign using the above-mentioned credit card. 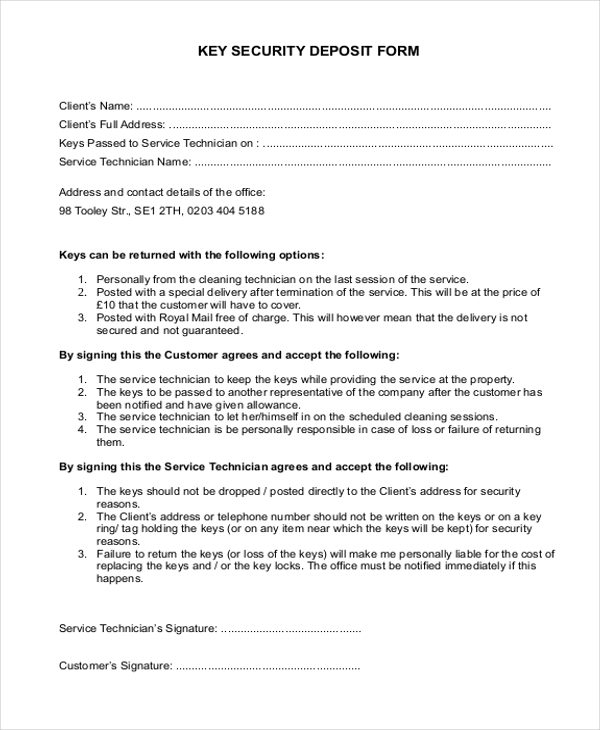 This key security deposit form presents client name, address, key details and service technician name. It mentions the various rules that are to be followed while handing over the keys. It obtains the signature of the customer and service technician. This security deposit addendum presents resident name, owner name, leased premises address and security deposit amount. It mentions the requirements to seek the return of deposit and rules that are followed while returning the security deposit. What are the Situations to Utilize Security Deposit Form? Security deposit form is used for various business transactions. When an individual is obtaining for leases like property, vehicle, business or equipment, the owners generally charge a security deposit for the safety of their property or vehicle. They enable the owners to recover any damages from the lessee while returning the security deposit. Similarly, when the owner withholds security deposits even after completion of a tenancy period, these forms enable the lessee to make legal proceedings against the owner. They are extensively used by owners to lease their cars and factory owners to lease their idle equipment by charging reasonable security deposit amount. You may also see Payroll Direct Deposit Forms. What to Include in Security Deposit Form? When an owner is providing security deposit receipt to the lessee, the form should contain the tenancy period and a list of rules including deduction of security deposit in case of any damages being made to the property. 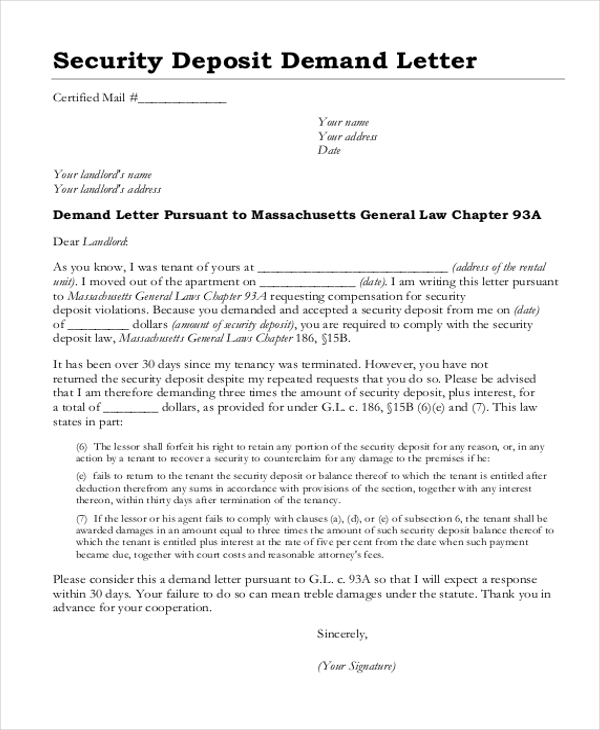 The security deposit receipt form should importantly have the signature of the owner. 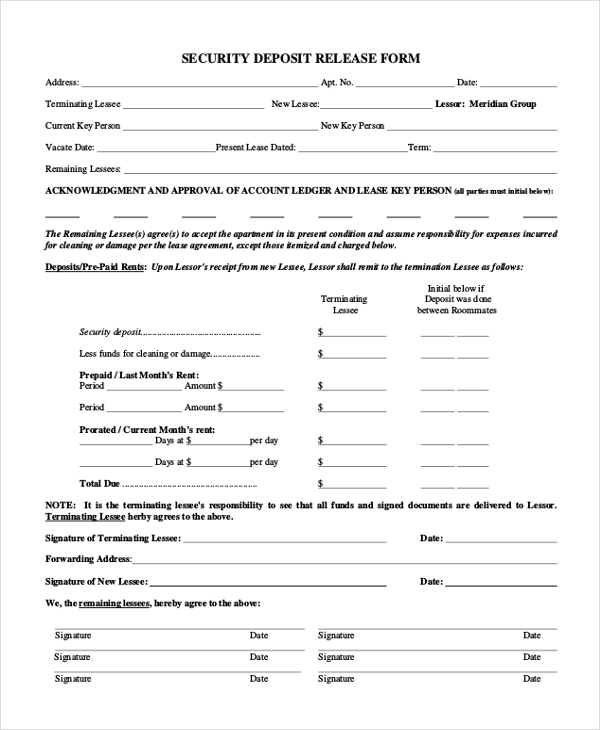 When a lessee is opting to cancel the tenancy agreement, the form should mention the details of rent paid as well as security deposit amount details. When the keys are passed from one technician to another care should be taken to mention the client details and date of which keys are handed over. You can also see Security Deposit Receipt Forms. What are the Benefits of Security Deposit Form? Security deposit forms are widely used by the owners to safeguard their property or vehicles from being misused by the lessee. They enable to recover the damages from the lessee. They also protect the legal rights of the tenants and help in recovering security deposit payment from the owners. One can search Google using security deposit form PDF or security deposit receipt and find more information.